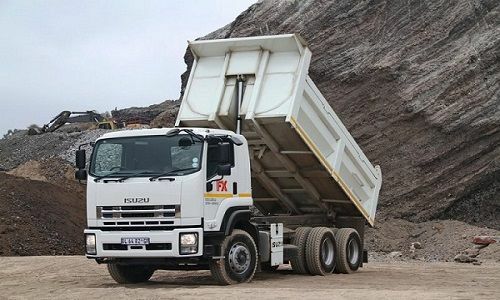 Generally called dump trucks, tippers are one of the most important vehicles used during any construction projects. Strong and powerful, they are employed to transport concretes, ballasts, stones, gravels, demolition wastes, and many other loose materials from one site to another. Nowadays, different types of dump trucks exist. 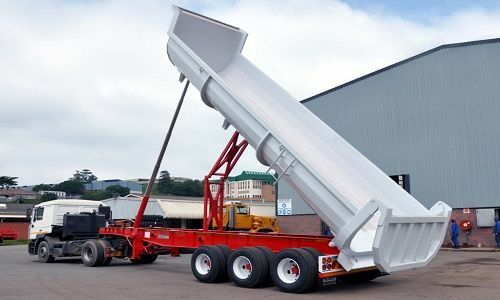 Actually, the name dump truck mainly comes from the fact that the back of the truck can be lifted at the front end to allow the load to be discharged or dumped by gravity. Available in various shapes and sizes, tipper trucks are very convenient to transport loose materials for mining or construction. 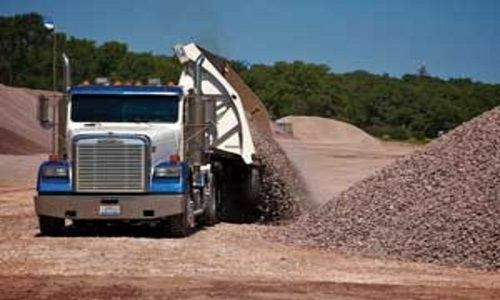 Here are 5 tipper truck types for anyone interested in trucks involved in logistics and transportation industries. Like most types of dump trucks, standard tippers operate on hydraulic systems. Basically, this means that the system uses a liquid or fluid under pressure for generating power to enable the lifting operation. Based on the quantity of power generated, there are several tipper trucks with different load capacity. The average capacity of a standard dump truck is around 10 to 15 tons but can reach up to 35 to 40 tons. Read Also >>> Here Are 3 Reasons Why Buying Heavy Equipment Is Better Than Renting It! A semi-trailer end tipper is one of the most amazing tipper truck types. Unique by its shape and design, it consists of a trailer and a dump body at the back of the truck. 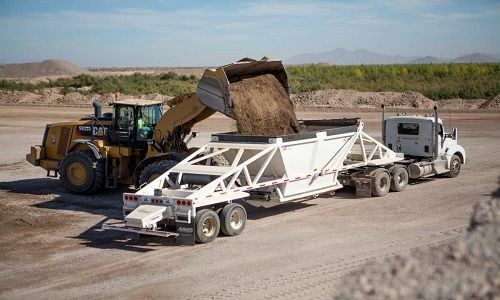 The good thing about these types of dump trucks is that they have a huge load capacity and can better handle the toughest jobs compared to the conventional tipper. However, when it comes to stability, it is less stable in the dumping position than the standard dump truck. Another very unique truck among tipper truck types are the side dump trucks. These types of dump trucks provide different ways to transport and dump loose materials. As the name implies, the dumping position is not vertical like others, but on the sides, both sides. Not found everywhere, side dump trucks are very versatile vehicles with a unique dump feature ideal for tight job sites requiring a big loading capacity. 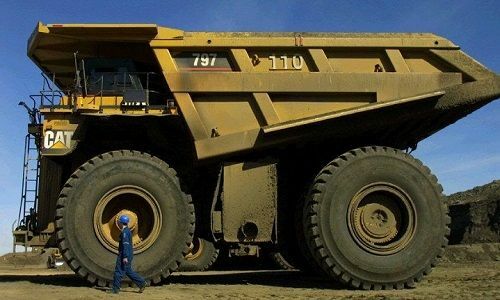 Nowadays mining, construction projects, and many other logistics sectors are requiring more and more trucks with big sizes and huge load capacity. That is where haul trucks come in. Also called dumper in the European term, haul trucks are one of the biggest and most powerful types of dump trucks in the world. They are usually deployed off high-way for major projects. Their loading capacity can reach up to 400 tons. They come with very big wheels and are perfect for heavy duty works under difficult climate conditions. Some major manufacturers, like Komatsu, Volvo, Deere, Caterpillar have recently developed very powerful self-driving dumpers for construction and mining operations. Read Also >>> What Types Of Forklift Trucks Do You Need For Your Business? Belly tipper trucks are not very common tipper truck types. Also, known as bottom dump trucks, they have one of the amazing features which are, to lay materials in rows. Additionally, this type of truck is able to operate in reverse and can carry up to 28 tons. These types of dump trucks are perfect for transporting a huge quantity of loose materials on sites. 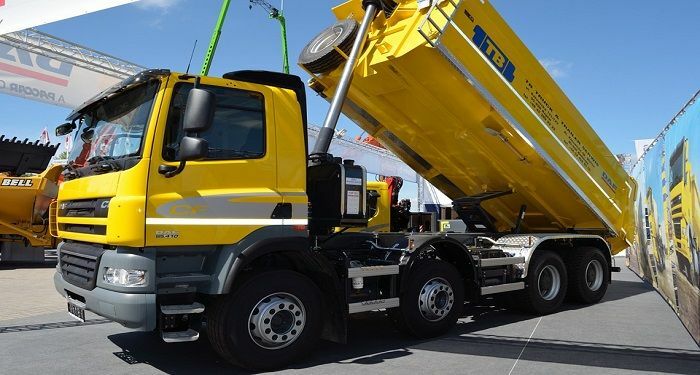 Whether you are an expert or not these are some of tipper truck types that everyone in the truck industry needs to know. They come in different sizes and shapes to perform a specific job on different sites. If you are in Kenya, looking for reliable truck and transportation services, you can contact Famio Services. We will assist you.